Do they go far enough to protect patient safety? Many people are aware of the recent case of Ian Paterson, a surgeon who was allowed to conduct hundreds of unnecessary breast operations on patients whom he falsely told had cancer. His actions were allowed to continue for over a decade despite concerns being raised by other medical professionals about his competence. We are fortunate that these types of event do not occur very often, but for those involved in this matter, that will be of little comfort. It became clear from this case that there are shortfalls in the current reporting requirements within private hospitals. Despite being barred from practising by his NHS Trust, Mr Paterson was allowed to continue practising in private hospitals for a number of weeks. This on its own is an extremely concerning situation, but coupled with the reluctance of private hospitals to release any data in relation to doctors performances, becomes even more worrying. The Royal College of Surgeons (RCS) has recently made recommendations for reform in the area of governance of private hospitals. In the UK we have a system which is made up of NHS hospitals and private hospitals. The hospitals are often staffed by the same doctors so it makes no sense for NHS and private hospitals to operate on different forms of governance, yet this is what has been happening. Currently, NHS Hospitals are required to disclose details of the number, type and outcome of the medical procedures they perform each year. Private hospitals are not required to do so. Instead they are required to report problems to the Care Quality Commission, but they do not have to publish the same data which NHS Hospitals have to. A recent report by the RCS has concluded that the safety of patients is in jeopardy and will continue to be so until all hospitals are put under the same reporting requirements. This lack of transparency from private hospitals also means that private patients are not able to make fair and reasoned choices about the treatment they receive because there is no easy way to see if the private hospital has a better performance record than an NHS hospital. It is hoped that this recent report will result in prompt action being taken, because until change occurs, patients continue to remain at risk. There is no justifiable reason to delay further and in fact it could be questioned as to why it has taken this long to implement a fair and transparent procedure. For more information on this topic, or any other medical negligence issue, please contact a member of our specialist team. 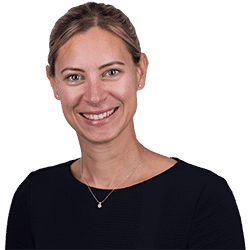 Gemma is a Senior Associate in Clarke Willmott’s Southampton Clinical Negligence team with over 10 years' experience.